WHO DO I CONTACT ABOUT SOCIETY MEMBERSHIP OR MEETINGS? Fees, applications and all other questions regarding WSSA Society activities should be directed to our business office (info@wssa.net), who handles many of the business functions of our Society. HOW DO I GET A COPY OF A WSSA PUBLICATION OR JOURNAL? All queries regarding WSSA publications should be directed to our business office (info@wssa.net). ARE TITLES, ABSTRACTS OR FULL PAPERS AVAILABLE ON THE WEB? 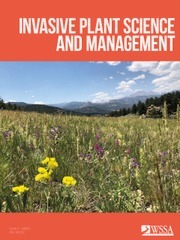 Titles and abstracts from Weed Science, Weed Technology, and Invasive Plant Science & Management are available on-line from Cambridge. IF I HAVE A QUESTION ABOUT A SPECIFIC PAPER OR BOOK PUBLISHED BY THE WSSA WHO DO I CONTACT? All queries regarding specific papers, articles or books should go directly to the author of the document. If you suspect that the author is a member of our society you can go to the Society Membership Directory menu options and search for the name and address of the author. IF I HAVE A NEED FOR SUPPORTIVE DATA FOR A RESEARCH PROJECT OR CLASS PAPER WHO CAN I CONTACT? We do not provide research services. 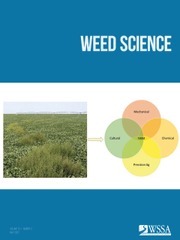 If you would like to do the research yourself, there are numerous University libraries that carry copies of the “Weed Science” , Invasive Plant Science and Management, and “Weed Technology” journals. 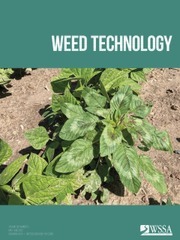 WHO DO I CONTACT IF I HAVE A QUESTION ABOUT A HERBICIDE (WHERE TO GET IT, HOW TO USE IT, ETC) OR A WEED (HOW TO CONTROL IT, WHAT IS IT, ETC)? Because laws differ greatly by region most queries require a response by someone familiar with local conditions and regulations. Usually the best people to address such queries are “Weed Extension Specialists” which are located at the Land Grant Universities of each state. You can identify the proper specialist who can answer your questions by contacting your local University Extension office. In Canada, each Province has weed scientists located at Federal stations across the country. These people are knowledgeable and trained to answer your questions. HOW DO I REPORT AN ERROR, BAD LINK, OR OTHER ANOMALY ON THE WEBSITE? Send that information to the Web Content Manager. MAY I USE A PHOTOGRAPH OF A PLANT FROM THE WEB SITE? All weed images are the property of the owner and may not be copied or used without their permission.